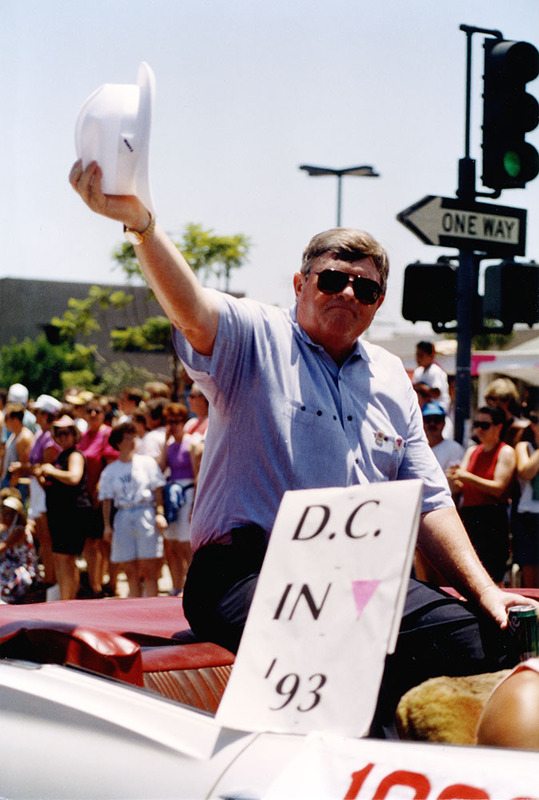 Police Chief Bob Burgreen in Pride parade, 1992. Doug Moore Collection, Lambda Archives of San Diego. 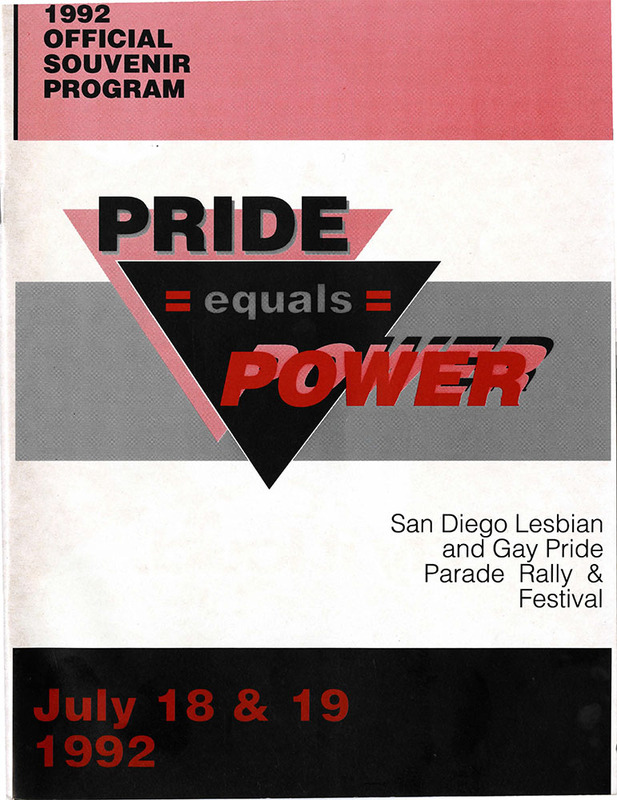 In 1992, Pride saw increased representation of law enforcement and political officials. San Diego Chief of Police Bob Burgreen was awarded the new honorary title “Friend of the Year.” He rode in the parade, which took place on July 18th, along with Mayor Maureen O’Connor and Councilman John Hartley, leading a contingent of city employees. Burgreen was the first Chief of Police to participate in Pride, and this contingent formed the largest delegation of elected officials in a San Diego Pride parade to date. 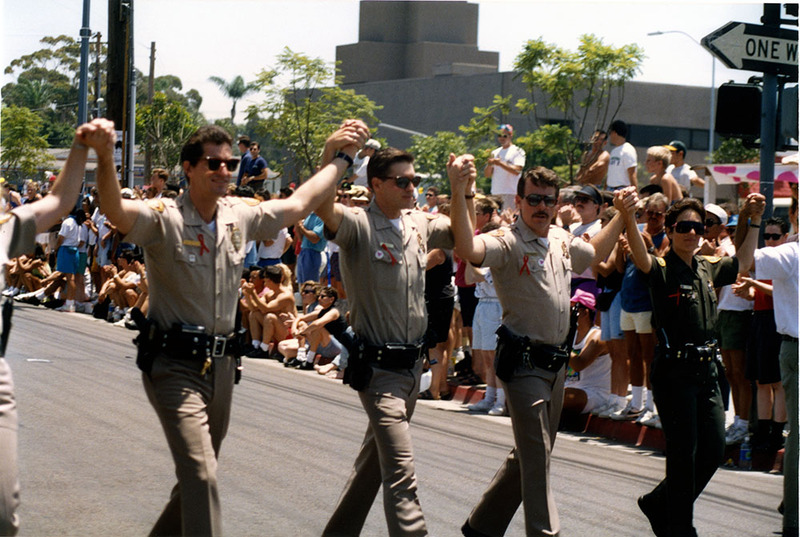 Law enforcement officers in Pride parade, 1992. Doug Moore Collection, Lambda Archives of San Diego. 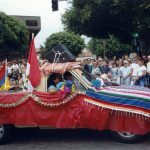 San Diego’s newly formed Nation of the Four Directions also participated in the parade for the first time. They sang, danced, and drummed on the bed of a truck along the route. Following the parade, they gave a ceremonial blessing on the grounds of the festival. The reorganized ACT UP / San Diego staged die-ins along the parade route to bring attention to continued AIDS epidemic. Souvenir Program, 1992. Lambda Archives of San Diego. 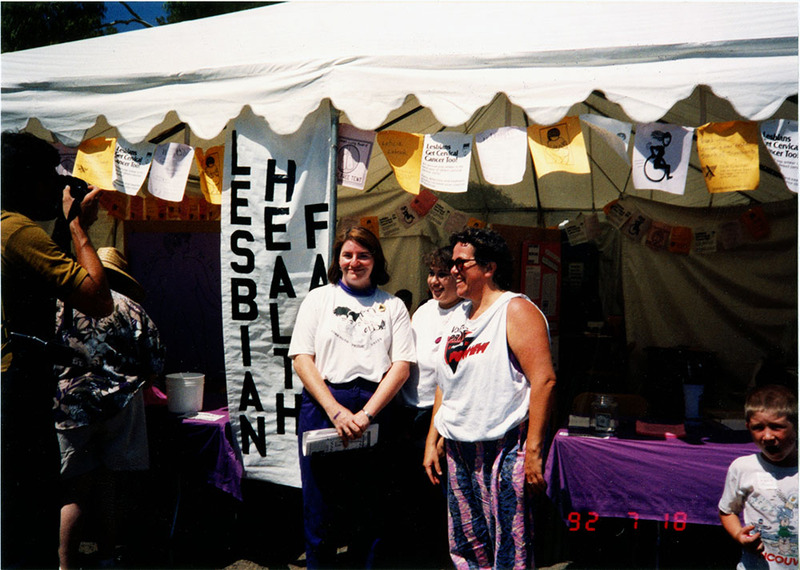 Renee Rickets, Toni Atkins, and Daisy Barquestero at Lesbian Health Fair booth, 1992. Doug Moore Collection, Lambda Archives of San Diego. General festival admission was raised to $16 for the weekend. A new festival feature was the Lesbian Health Fair, which offered free services and served to address lesbian health disparities. Primarily organized by Toni Atkins and Renee Richetts, the Lesbian Health Fair was co-sponsored by the Lesbian Health Project and WomanCare. 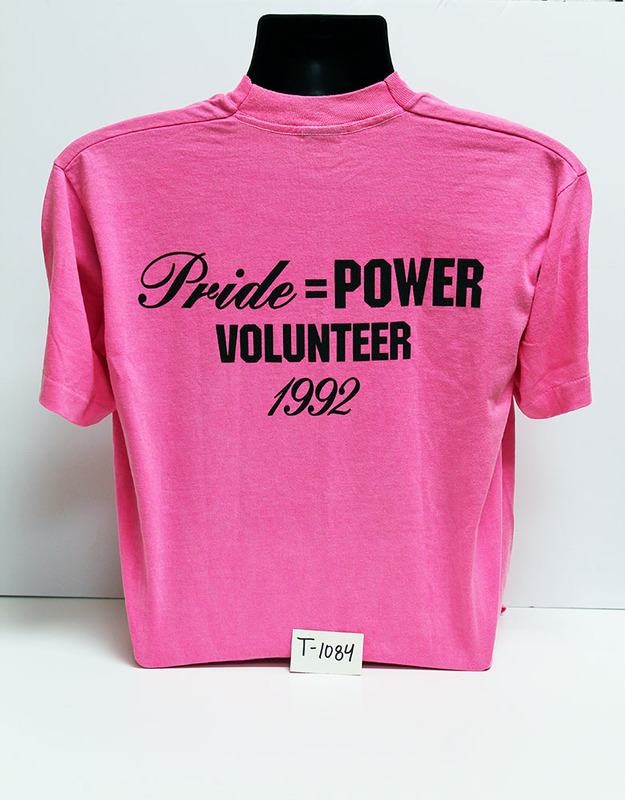 “Pride=Power” volunteer t-shirt (front), 1992. 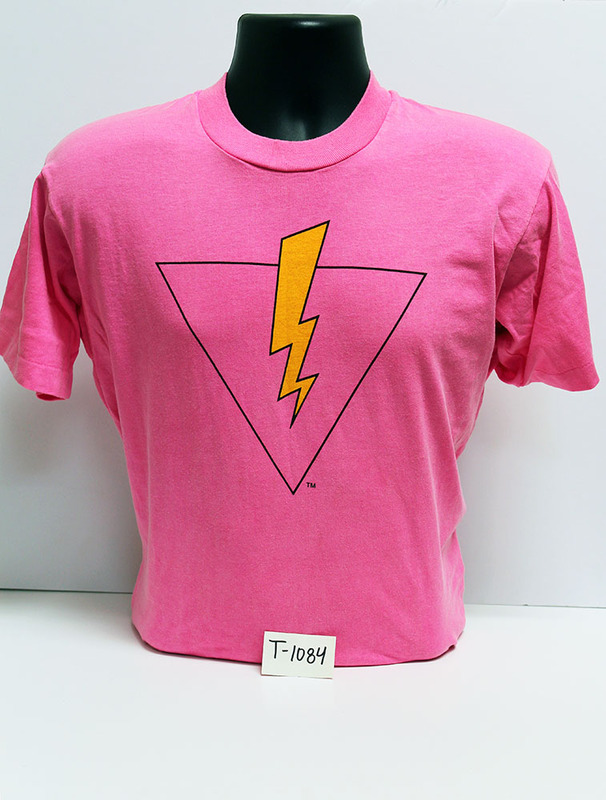 Pride T-shirt Collection, Lambda Archives of San Diego. “Pride=Power” volunteer t-shirt (back), 1992. 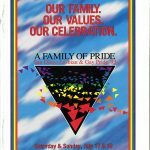 Pride T-shirt Collection, Lambda Archives of San Diego.